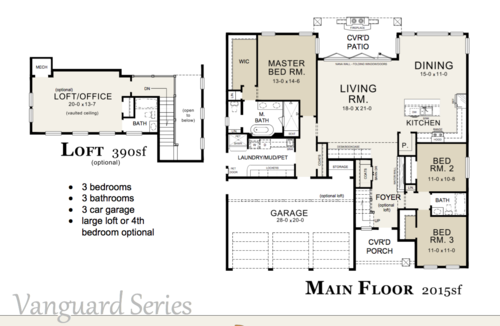 This Alpine is a 4-bedroom, 3-bathroom with 2,405 Square Feet and a 3-car garage. It comes with exclusive features, including: a stacking wall system which connects the patio to the living room to create one large indoor/outdoor living space, a pet Suite (including a pet shower, “doggie door,” and custom space for pet bedding and supplies), and a “toilet of the future. This toilet includes hands free operation (lid opens and lights up by motion sense), a self-cleaning feature (which uses a high-pressure water wand to clean itself after use), a built in, warm water bidet with an air-dry feature, and a heated toilet seat! 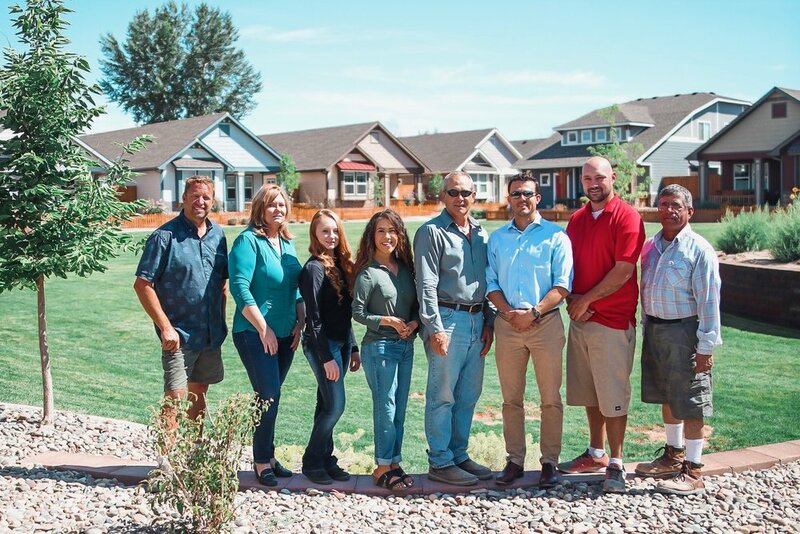 This house come with energy star features that save money on utility costs, such as: 2x6 framed walls with blown in insulation, Navian tankless hot water on demand, Nest learning thermostat, full LED lighting package, and a high efficiency furnace with a sealed duct system. Once inside you will see its stunning contemporary architecture, which includes: and eye-catching kitchen featuring, white maple cabinets with “soft close” drawers and doors, quartz counters, Moen faucet and LED under cabinet lighting, the master suite features a gigantic walk-in closet, 5-piece master bath with slipper tub, his & hers shower heads and tile everywhere. Stacking wall system connects the patio to the living room to create one large indoor/outdoor living space. Pet Suite including a pet shower, “doggie door,” and custom space for pet bedding and supplies. Hands free operation: Lid opens and lights up by motion sense. Self Cleaning feature uses high pressure water wand to clean itself after use. √ White maple cabinets with “soft close” drawers and doors, quartz counters, Moen® faucet and LED under cabinet lighting. √ Master suite features a gigantic walk-in closet, 5 piece master bath with slipper tub, his & hers shower heads and tile everywhere. 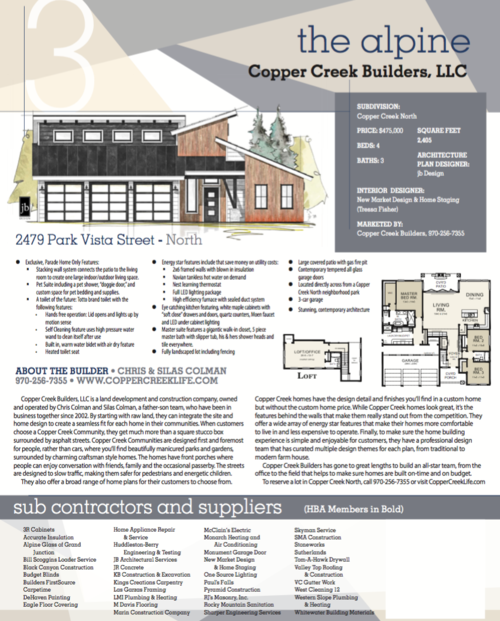 The Parade Home is located directly across from a Copper Creek North neighborhood park.